This well-known air was first published in 1855 in George Petrie's The Ancient Music of Ireland, as an untitled melody from County Derry. The tune was contributed by Jane Ross from Limavady, who stated that she had collected the melody from an itinerant fiddler. 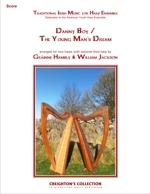 It is believed that this melody may have been derived from an old harp air called 'Aisling an Óigfhear' ('The Young Man's Dream' or 'Vision'), which was collected by Edward Bunting and published in his 1796 General Collection of the Ancient Irish Music. He collected the tune from Denis Hempson (1695-1807) from Magilligan in County Derry, the last of the Irish harpers to play in the old style using long fingernails and playing a wire-strung harp. 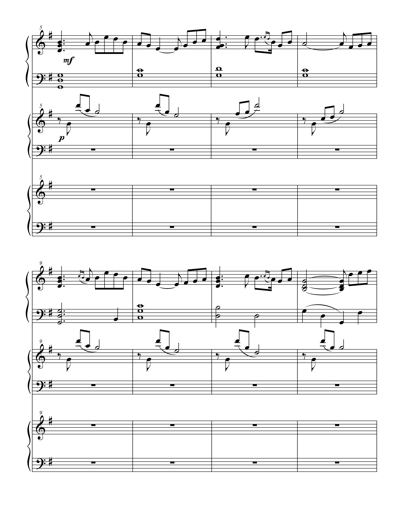 In this arrangement we have included both the well-known version of The Derry Air and also the old harp tune. Many songs have been set to the melody, but Danny Boy (composed by Frederick Weatherly in 1910) is the best known. 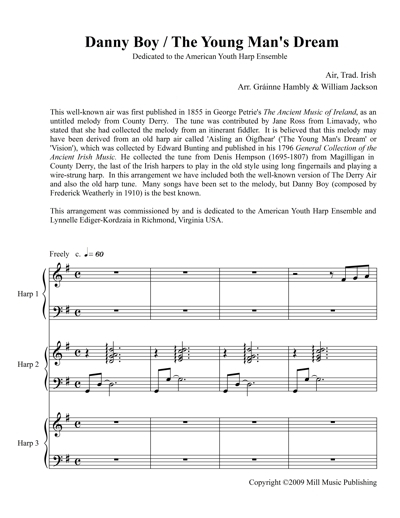 This arrangement was commissioned by and is dedicated to the American Youth Harp Ensemble and Lynnelle Ediger-Kordzaia in Richmond, Virginia USA.